Could this be a Case Narrative of Spotting a Policeman of Integrity among the Rotten Lot? As stated in my recent publications, I am going to tell about my experiences during my holiday in Ghana in the months of February and March 2019. As I am known for, I tell nothing but the absolute truth. Again, I desire to see both the poor and the rich treated fairly before the law and also, I have aversion to the official cancerous corruption that is ruining Ghana and tarnishing the reputation of the African, if not the black man. This infatuation with corruption by the Ghanaian in particular, and the African in general, is costing us the acknowledgment of rational beings deserving respect and worthy of recognition as intelligent and wise persons in the eyes of our contemporary Whites. This true story I am about to narrate is a similitude of the saying, "killing two birds with one stone". However, I shall rather be killing three birds with one stone in this narrative. The bible admonishes that give praise to whom praise is due and condemn or reprimand those who are to be condemned or reprimanded. On or around 13th or 15th of March 2019, I was in Effiduase (Ashanti); seated in the front seat of a taxi at the Ntumkumso taxi station. While the taxi was in the lead queue waiting to be full of its correct number of passengers before leaving for Ntumkumso, I could hear a group of drivers waiting for their turn discuss how they had been arrested for a number of motor or driving offences and subsequently taken to court. 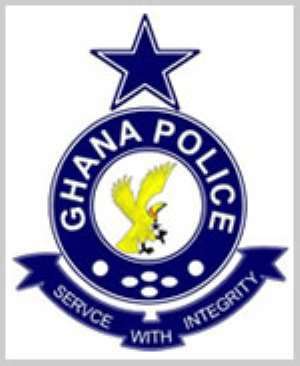 According to their overheard conversation, the Police Commander in Effiduase (they did not mention his actual name but his position as the Police Commander), is a very strict person who had arrested them, about fifteen of them in number, for various motor or driving offences. He had arrested them the day before, written out their offences himself and charged them to court. When he arrested them, some of them in the evening went to see a certain noble man in Effiduase who is a friend of this said Police Commander. Their intention was for the man to intervene on their behalf, plead with the Police Commander to do them a favour by dropping any charges he has levelled against them. When the man went with intent to do the wish of the drivers the next morning, he could not meet the Commander. He had prepared the charges against each driver on a charge sheet, ordered one of his subordinates to take them to court and had himself driven out or travelled outside Effiduase in the very early hours of the day. Could it be that he did not want to stay behind to avoid anyone approaching him to plead for the drivers? Did he perceive that the drivers would arrange someone to contact him on their behalf to drop the charges against them by way of pleading or greasing his palms with bribery Cedi wads, hence to avoid that happening he drove out of Effiduase in the wee hours of the day as asserted by the drivers? When the man could not meet the Commander, he rather contacted the queen of Effiduase who is friends with both the Commander and the Magistrate or Judge of the Effiduase Magistrate or District Court. I don’t know what category of Court Effiduase court belongs in. However, knowing the exact nature of the court is irrelevant but how the Magistrate or the Judge seemingly misconducted himself. When the queen in her desire to intervene on behalf of the drivers as requested failed to reach the Commander on the phone, she resorted to her Plan B by phoning up the Magistrate or the Judge to convey her request to him. For explanation sake, let me restrict myself to Magistrate. The Magistrate on receiving the call from the queen found himself cornered in-between a hard surface and a rock. He was in a complete dilemma. He could neither deny the queen her request nor throw out the charges preferred against the drivers by the Police Commander. In the end, she assured the queen that the best he could do for her was to ask each of the drivers to come to court with GHS100, formerly one million Cedis as he would fine them rather than sentencing them to terms of imprisonment. The drivers were informed of the favourable arrangement they expected. When they went to court, the Magistrate numerated the charges levelled against each of them as stated by the Commander himself in the police or the trial docket when it was their turn to go on the stand. After reading out each driver’s charges, he would ask, "are you guilty or innocent?" When they said guilty, he would say, the government had forgiven you all the charges but would charge you on one. He told each which charges against them had been dropped and which they would be charged with. In the end, he would ask each that they had been fined GHS100 in default of which payment they would go into jail for six months. One of the drivers recounted that knowing what he expected, as soon as the Magistrate pronounced he had been fined GHS100 (which the driver said one million Cedis) he straightaway dished his hand into his pocket and produced it. He said, the Magistrate told him no, we don’t do it that way. Once you leave the stand, go out there and there is someone sitting there to whom you should pay the money and be given a receipt. To cut the long narrative short, when the taxi was full and heading to Ntumkumso, the driver showed the passengers where the Police Commander and one of his officers had positioned themselves to arrest the drivers. It was an obscure place that made it difficult for the drivers to detect him or to tell a policeman was hiding there to arrest them. He kept stopping and informing oncoming taxis that no policeman was on the road hence it was safe for them today, he said. Some of the drivers had their driving mirrors broken. Some had their roadworthy papers expired and all sorts of other problems. All told, it is up to the public readers to judge for themselves who among the three persons (the Police Commander, the Queen and the Magistrate), is desirous and honest enough to fighting corruption and wrongdoings from propping up and spreading in Ghana. At this stage, I tip my hat to the Police Commander be whoever he is. Could it be the Divisional Police Commander in Effiduase at the time of the drivers narrating their unfortunate encounters bordering on driving offences and arrest? I don’t know. When you do good, I shall commend you but when you do bad, I shall chastise you.